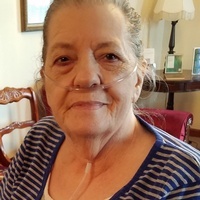 Henrietta B. Campbell, 73, died Saturday, September 1, 2018 at her residence. A longtime resident of Chattanooga, Henrietta was the daughter of the late Dan and Maggie Carney Fine. She was a graduate of Spring City High School. Henrietta worked for the Colonial Corporation for 30 years before retirement. She was a member and faithful prayer warrior of the Mineral Park Baptist Church in McDonald, Tennessee. She was loved by all of those who knew her. Henrietta was preceded in death by her daughter Canaria Lynn Campbell, sisters Loaine Creller and Hellen McClain and brothers Caroll, Roy and Ralph Fine. Survivors include her son Steve Allen (Dorothy) Campbell of Hixson, daughter Rhonda (Bobby) Givens of Chattanooga, brothers Ray (Wanda) Fine of Spring City and Dennis Fine of Dayton, sisters Mildred Darr and Dorris Reel and Pam Burns all of Dayton, Ruth (Garner) Reed of Grandview, Nancy Whitted of Ten Mile, Tennessee and Annice Janow of Kentucky and grandchildren Steve Ryan Campbell and Kanaria and Miranda Givens. Funeral services will be Tuesday, September 4, 2018 at 1:00 pm in the chapel of Vaughn Funeral Home with Rev. Ronnie Jonesofficiating. Interment will follow in the Spring City Memorial Gardens. The family will receive friends Monday from 5:00 pm to 7:00 pm at Vaughn Funeral Home. In lieu of flowers, contributions may be made to Vaughn Funeral Home, P. O. Box 129, Spring City, TN 37381 to help with funeral expenses.